Home / Daniel Sarkissian / Documentary / Film / Rock / Toronto / What is Classic Rock? TORONTO filmmaker and lifelong hard rocker Daniel Sarkissian brings fellow music fans with him on a mission to define ‘What is Classic Rock?’ in his new documentary of the same name— out across Canada and the U.S. this December 5th. “Can we classify it? Should we?” These are just some the questions and complexities Sarkissian kicks around with the genre and era’s most legendary voices, from KISS, Grand Funk Railroad, The Guess Who, Twisted Sister, Triumph, Guns N’ Roses, and many more. Viewers will travel closer to conclusion thanks to the helpful insights from, to name just a few, Ben Kowalewicz, Country Joe, Dee Snider, Jay Jay French, John Devenish, Jon Gallant, Gilby Clarke, Eric Alper, Randy Bachman, Suzi Quatro, and Bruce Kulick. Friday, October 6th, 2017 at 9:00 p.m.
Purchase Your Tickets Here What is Classic Rock? 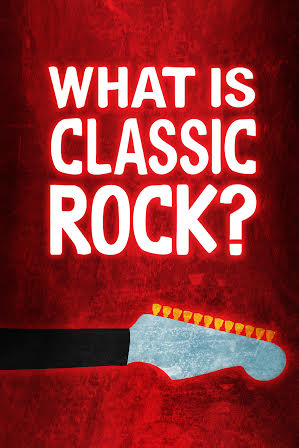 ‘What is Classic Rock?’ has a runtime of 1hr40m and will be available for viewing on Rogers on Demand, DirectTV, Vudu, Amazon Prime, Google Play, Vimeo, and DVD / BluRay as of Tuesday, December 5th, 2017. Daniel Sarkissian is a Toronto-based filmmaker, graduate of Ryerson University (B.A. of Fine Arts in Film Studies), and self-professed lifelong hard rocker. He makes his feature length directorial debut in this, his newest film, ‘What is Classic Rock?’ (2017).